Feds charge a Massachusetts state judge and court officer with obstruction for helping a undocumented man leave by the backdoor of a courthouse to evade ICE officers who were trolling the courthouse looking for people to arrest. 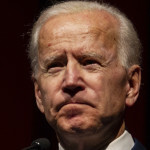 Joe Biden is the hardest to figure of all the Democratic candidates in the presidential field. He is at once an obvious choice and also unsuited to the moment in almost every way imaginable. One of the things modern online culture creates is an illusion of participation. If one can express a view on a political or policy development and be read or listened to by a large number of people, it can seem as if one is participating in directing events. Not actually directing them, mind you, but influencing those who are, even in a roundabout or inchoate way. This may seem like a frivolous comment. But I think it gets at a serious point and in educative terms fights fire with fire. The argument for investigating before jumping into impeachment is spot on. The question of will or won’t the Dems impeach will be the cliffhanger of the hearings show. People will tune in to see if this is the week Pelosi finally lets it fly. Why should they give up the suspense? The country will eat it up. 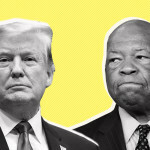 As President Trump has — unsurprisingly — dramatically ramped up his refusal to comply with any congressional scrutiny and oversight, the impeachment debate has moved in a new direction. Or at least one part of the existing argument has become much more salient. 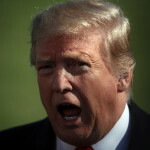 That is this: the claim that by moving into a formal impeachment process, perhaps as little as beginning a formal impeachment inquiry, the House will strengthen its ability to compel cooperation from the executive branch on all the documents and testimony it is now trying to get. In other words, whatever you think about the politics or wisdom of impeachment, Democrats need to start the process because that’s the only way they’ll have the standing to do effective investigation. The problem is I see no evidence this is true.